What has become of our world? Top bankers are warning about the “apocalypse”—which doesn’t prevent them at the same time from stuffing seven-figure bonuses into their pockets—as if burial shrouds had pockets! 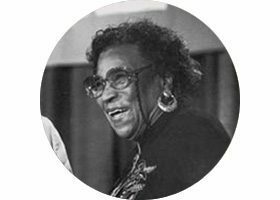 Politicians are willing to sell their own grandmothers in order to calm down “the markets,” while the General Welfare which they have sworn to protect, has been erased from their vocabulary. Heads of government who have just finished expunging democracy and constitutional rule from their own countries, are now prepared, under the pretext of concern for democracy and human rights, to march from a “humanitarian intervention” into a neighboring land, straight into a thermonuclear apocalypse. 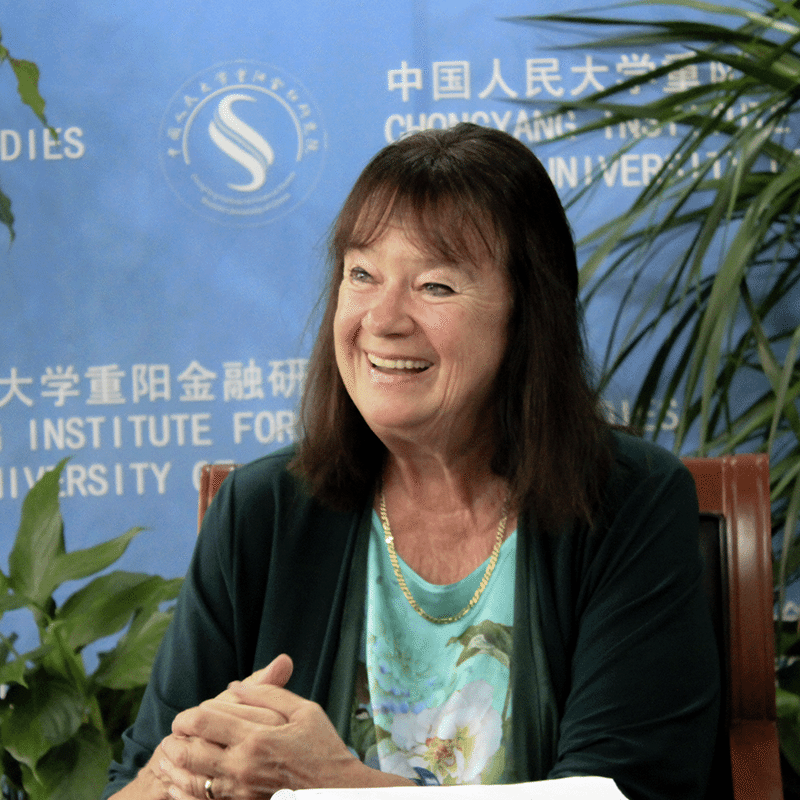 Helga Zepp-LaRouche, founder of the International Schiller Institute, is also known worldwide as “The Silk Road Lady” for her promotion for decades of peaceful cooperation among perfectly sovereign nation states throughout the world. Hundreds of millions of human beings are under dire threat of starvation, disease, and lack of clean water; but meanwhile at church councils, the use of bio-fuels is defended, and the popes of environmentalism get decorated with the Medal of Honor for stopping agricultural production and water management, causing millions of human lives to be lost. For decades, “society” has been tolerating the tearing down of one bastion of civilized behavior after another; and so is it any wonder now, that twelve-year-olds are downloading pornographic videos onto their smart phones and showing them around on the school playground; or that it’s considered almost normal that individuals riding the subway or walking on side-streets are “ripped off,” and have to relinquish all their valuables in order to forestall something far worse? Might we not, then, say that a society in which teenagers are the most menacing social grouping, can be considered a failed society? This list of social evils could be expanded in many directions. It’s certainly true that the root of many of the problems lies in the false axiomatics of economic, military, and social policy. Yet perhaps the most important area where development has gone completely awry, is the shift in cultural paradigm in the western world over recent decades. Even if during the decades of Germany’s post-war reconstruction everything wasn’t perfect, nonetheless the vector of development was positive: There was an enormous desire to rebuild, and secondary virtues such as diligence and honesty—virtues later denigrated—fostered the General Welfare and promoted social cohesion. Our schools were still governed by the Humboldt educational ideal, namely that developing beauty of character within each student was at least one aspect of the goals of education. Classical culture in music, poetry, and the fine arts played an important role in all grades, but especially in our Gymnasia. The fact that this has long not been the case, is due to many factors: the Frankfurt School’s deconstructive role regarding Classical music and poetry, the Congress for Cultural Freedom, the advent of “director’s theater,” the Brandt educational reforms, the ’68er movement, the counterculture, and pop culture in general. The end-result of all these influences is a cultural wasteland: shriveled hearts, bereft of all ability to experience profound intellectual emotion; and for many of our fellow men, a loss of the ability to judge, with any sense of justice and injustice supplanted by a striving to conform to popular opinion. “Through his actions, Man portrays himself—and what an awful form do we see depicted in our present-day drama! Here brutalization, there decadence: the two extremes of human corruption—and both united in one age of history! “In the lower and more numerous classes, we see raw, lawless impulses, unleashed after all bands of civil order have been dissolved, rushing with ungovernable impetuosity toward bestial satiation…. Its rudder gone, our society, instead of speeding upwards into organic life, is relapsing back into the inorganic domain. The key to overcoming the present existential crisis therefore lies in affording people access to their own creativity, in rekindling within them the divine spark which brings their full human potential to fruition. Our task is thus to strengthen this faculty of the human spirit—a place where scientific discoveries are made, which is the same place where Classical art is born, and where musical and poetical ideas are developed according to the criteria of Classical composition. Whenever man discovers new universal scientific principles, or when the composer or poet harkens to the rules of Classical composition, or lawfully extends them, then the creativity of an inventive mind comes into complete harmony with the creatively self-developing physical universe. And thus, if we wish to survive the present crisis, a renaissance of Classical culture will be the absolute prerequisite. 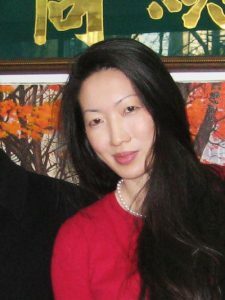 Therefore the Schiller Institute, along with its cultural journal Ibykus, supports Lynn Yen’s initiative (see right), and calls upon all artists and friends of Classical art to become part of a worldwide movement which will continue to fight for this renaissance until we have banished the current Dark Age—just as the Golden Renaissance of the 15th Century banished the 14th-Century Dark Age, and as German Classicism overcame the destruction wrought by the Thirty Years War. What does one do when the state is corrupt, and the masses are apathetic? Where does change then actually come from? 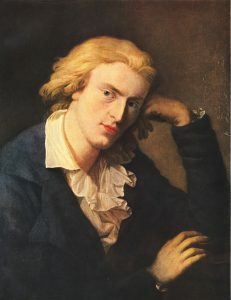 Friedrich Schiller provides a truly revealing insight: it can only happen through classical art. In these dark times of terrorism, war and the dramatic refugee crises, it is essential to recall the superiority of human creativity over the forces of destruction. And what could better demonstrate this unique human capability than the great masterpieces of diverse civilizations? By recognizing the one in the many, and by placing what unites us above what separates us, we will be able to overcome the present profound civilizational crisis. In that spirit, the leitmotif of this concert is the dialogue of cultures. The performers are members of the Camerata Geminiani, the Russian Children’s Choir of the Shostakovich Music School in Berlin-Lichtenberg, the Chinese Academic Chorus in Berlin, and the International Chorus of the Schiller Institute. The event is organized by the Network for International Cultural Exchange (NICE) and the Schiller Institute. The Schiller Institute performs Johannes Brahms’, “Nänie, Op. 82”, preceded by an introductory remark on Friedrich Schiller’s poem “Nänie” by Helga Zepp-LaRouche, demonstrating the necessity of the classical poetry and music as the only means by which the general public can discover the inner source of their own creativity. Founded with the mission to pursue the “common aims of mankind,” the Schiller Institute’s chorus project, which brings people together from all walks of life to share and present some of the most cherished pieces of classical music, has proven to be a powerful means to that end. Beginning in Manhattan in 2014, then quickly spreading to Boston, Houston, Virginia and the West Coast, our choruses, who practice and perform at the Verdi C=256 pitch, are building a reputation for their lively, rich, and spirited classical performances which include Bach, Beethoven, Mozart, Brahms, the uniquely American African-American Spirituals, and more. The best part? We believe that everyone can sing, so come sing with us! 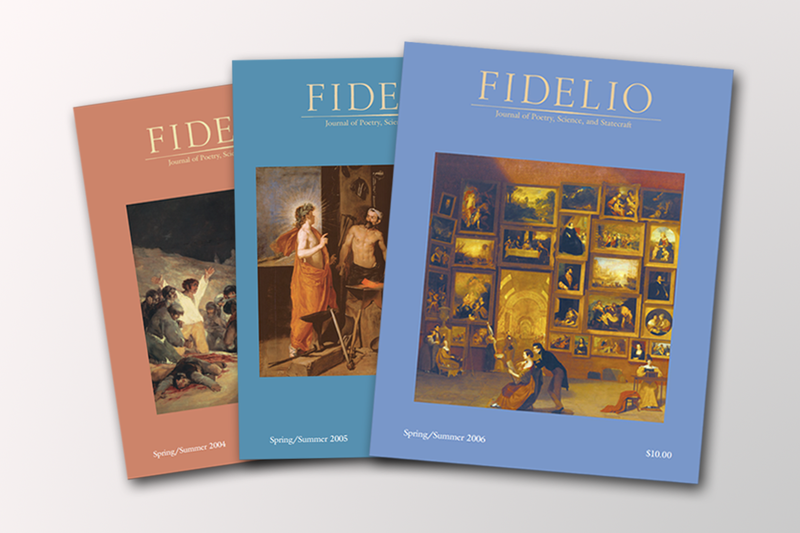 In the past decades, the Schiller Institute has been the leading edge of the fight to realize Giuseppe Verdi’s wish to bring musical tuning back to where it was when the classical composers lived. The standard pitch gradually been raised to the point where it is practically one tone higher today than it was 200 years ago. Had Bach, Scarlatti, Mozart, Beethoven, Verdi and others wanted to have their works played one tone higher, they would have written them that way. In fact, the specific characteristics of the human singing voice and of the human body, as well as the proportions in nature and the universe suggest that there does exist a scientific tuning. 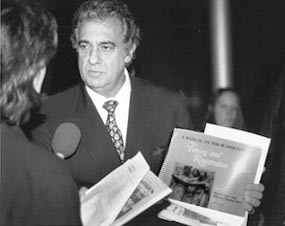 Placido Domingo, with the publication of the Schiller Institute “Music Manual”, who subsequently signed the petition called for by the Schiller Institute to lower to tuning to that of “the Verdi-Tuning”. 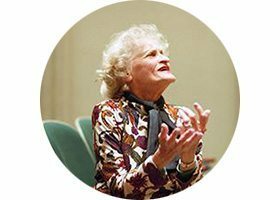 The campaign for Verdi’s “scientific tuning” led to an international music symposium in Casa Verdi/Milan on April 9, 1988, during which the difference between usual tuning of today and the natural Verdi tuning was conclusively demonstrated. It made clear that the principles of music and science cannot be separated, and also that changing the register shifts (passagio) creates a problem not only for the singing voice, but also for musical instruments. Thus, the optimal resonance of the famous Stradivari violin “Il Cremonese” lies at C = 256Hz (a = 432Hz), as analyzed by the International Institute for Violin making in Cremona. 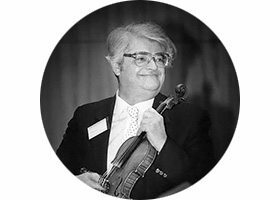 Norbert Brainin, the first violin of the legendary Amadeus String Quartett, who supported the Schiller Institute campaign, demonstrated the contrast between the different concert pitches, including at a concert in Munich’s Max-Joseph-Saal in 1988. 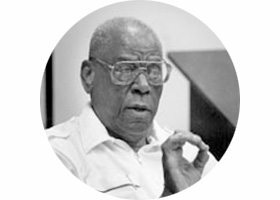 Brainin also conducted several master classes with the Schiller Institute in the 1990s on the subject of thorough composition and tuning. Just recently the Schiller Institute campaign again inspired a number of important initiatives in Italy. In Roncole, Verdi’s birthplace, a yearly festival in the Verdi tuning began last year (www.nuovoverdianeum.it). And the grand-niece of Verdi, Gaia Maschi Verdi, brought her grand-uncle’s piano from the Barezzo House/Bussetto to Teatro Argentina in Rome on June 6, to remain there on exhibition until Dec. 31. This piano (Carol Otto, Berlin) is tuned at a = 432Hz. For more on the subject, see www.teatrodiroma.net/doc/4331/verdi-e-I-italia.